Rev. 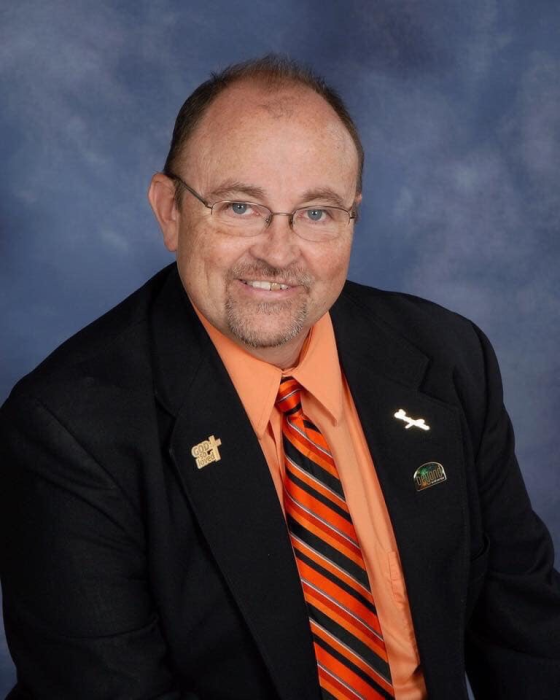 John Oscar Thomas, 60, of Tifton passed away on Friday, February 8, 2019, at his home surrounded by family and friends. His funeral service will be held 2:00 P.M., Wednesday, February 13, 2019 at First Assembly of God with Rev. Glen Starling officiating and Gloria Cummings giving the prayer. Burial will follow at Tift Memorial Gardens. The family will receive friends at the church (First Assembly of God) on Tuesday evening 5:00 P.M. to 8:00 P.M.
Gilbert Hill, Danny Tyson, Mark Hupp, John Tanner, Michael Black and Jack Hullett will serve as pallbearers. Honorary pallbearers will be Juanita Perry and Donna Horn. Rev. Thomas was born on June 29, 1958 as the son of Rev. Wesley L. Thomas, Sr. and Sara Anderson Thomas both whom preceded him in death. Most of all he loved his wife, children and extended family. He was always willing to open his home to those in need. He provided a home for over seventy people through the years. He is survived by his wife of thirty-eight years, Cynthia Endsley Thomas, two daughters and sons-in-law; Sarah and James Ellis of Tifton and Rebekah and Jon Geary of Naples, Florida, two sons; John David Thomas of Tifton and Matthew Thomas of Tifton, eight grandchildren; Skylar Ellis, Jalynne Ellis, Kenya Ellis, Daviyan Ellis, Waylin Ellis, Whitley Ellis, Wesley Ellis, Selah Geary, and another grandchild on the way; Braelynne Ellis, two sisters and brothers-in-law; Dialphia and Randall Lanier of Elko, Georgia and Mary and Andy Lee of Rockmart, Georgia, and one brother; Wesley Thomas, Jr. of Dahlonega, Georgia.